The Cherry Creek Arts Festival is one of the largest fine arts festivals in the country. Each year hundreds of juried artists are invited to display art of virtually every medium imaginable. A fun “creation station” is sponsored each year as a part of the festival for children to create and discover their own art appreciation. Great music, food, and fun make this a “must” event for the whole family. Tags: Attend the Cherry Creek Arts Festival, Cherry Creek Arts Fest, Cherry Creek Arts Festival, Cherry Creek Arts Festival CO, Cherry Creek Arts Festival Kids Area, Cherry Creek Colorado Arts Festival, Cherry Creek Festival, Cherry Creek Kids Events, Cherry Creek North Events, Cherry Creek North Kids Events, Family Events Cherry Creek, July 4th Festivals Colorado, July Festivals in Colorado, July Fourth Activities Colorado, July Fourth Events Colorado, Kids Activities Cherry Creek, Kids Event in Cherry Creek, Things to do in Cherry Creek Colorado, When is the Cherry Creek Arts Festival? 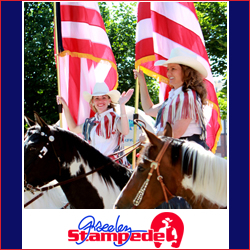 The Greeley Stampede is one of the largest and oldest annual festival events / parade / rodeo celebrations in the Western United States. Festivities include (and are in no way limited to:) Pro Rodeos, Kids Rodeo, Huge Country and Classic Rock Concerts, one of the nation’s largest July 4th Parade, Carnival / Midway events, Art Show, Food & Vendors galore – a Demolition Derby, free entertainment, and more. Don’t miss the Greeley Independence Stampede! Tags: Affordable Fun Colorado, CO Kids Events 4th of July, Colorado Parades, Colorado Rodeo for Kids, Family Events Greeley CO, Family Parades CO, Greeley Celebration, Greeley Colorado Events, Greeley Independence Stampede, Greeley Rodeo Celebration, Greeley Stampede, Greeley Stampede Events for Kids, Kids Events Colorado for July 4th, Kids Events July 4th Colorado, Kids Parade CO, Kids Rodeo, Kids Rodeo CO, Northern Colorado Kids Events, Parade Colorado, Stampede Events, Summer Events Colorado, When is the Greeley Stampede? 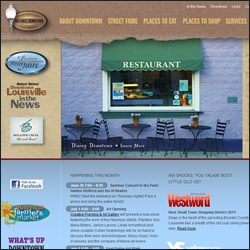 The Louisville Street Faire is a weekly celebration held Friday evenings during the summer in beautiful Downtown Louisville Colorado. Featuring great music, wonderful shopping and artisans, kids crafts and activities, and some of the best food around, come celebrate small town life just outside the big city. 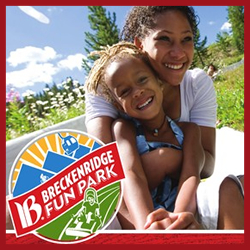 A summer full of family and kid fun awaits in beautiful Breckenridge Colorado at the Summer in Breckenridge Fun Park. 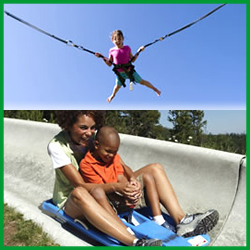 Activities include the Alipine Slide, 4×4 family tours, guided hiking tours, pony rides, mountain biking, mini-golf, scenic gondola rides (free), chairlift rides, gemstone panning, Breck Bark Dog Park, the Mineshaft Maze, climbing wall, super bungee trampolines, and ripperoo’s bounce house. Visit the website for more details on great Kids activities in Breckenridge Colorado. Visit the Colorado Parent online or pickup its monthly magazine at locations around the state. 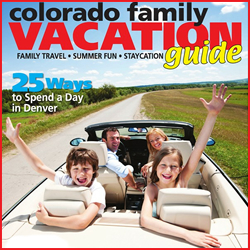 The Colorado Parent also produces the summer Colorado Family Vacation Guide. This wonderful addition includes great information on family fun and vacation information to make your family traveling go smoothly this year. Whether its splashing at the water park, swooshing down the mountain on an alpine slide, or roasting marshmallows at your favorite camp site, make sure your family has a safe and fun summer! Free face-painting and caricature art are included in this weekly celebration. Bring the family and enjoy the Winter Park summertime with gigantic games like croquet, horseshoes, checkers, jenga, and more!. Stay and enjoy all that Winter Park has to offer! The Colorado Shakespeare Festival is an on-going series of presentations by the Colorado Shakespeare Festival Theatre Company. Some of the upcoming perfomances include Romeo & Juliet, The Comedy of Errors, The Government Inspector, & The Little Prince. With the festival comes many opportunities for the education and exposure of young people to Shakespeare and the arts. Visit the website for more on the Colorado Shakespeare Festival. 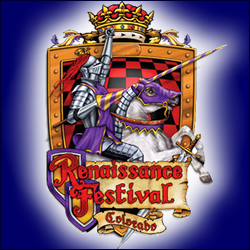 Tags: Children Events Shakespeare, CO Kids Festival, CO Shakespeare, CO Shakespeare Kids Events, Colorado Shakespeare Children Event, Colorado Shakespeare Festival, Kids Shakespeare Events, Shakespeare Events for Kids, Shakespeare Festival, Where is the Colorado Shakespeare Festival? 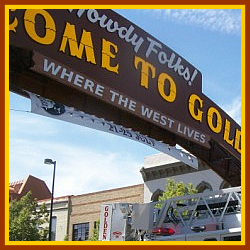 Join in the fun on First Friday’s Street Fair in beautiful downtown Golden Colorado. These fun-filled family friendly events take place the first Friday of each month during the summer and include local “tastes” of merchant cuisine – free horse drawn carriage rides around Golden – Washington Ave businesses stay open late and often have great deals on merchandise and services and more. Great music and puppet shows for the kids – sometimes a climbing wall and more – you just have to attend to find out and discover Golden Colorado! 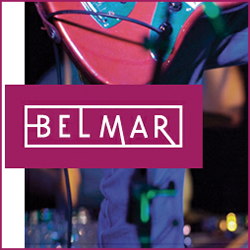 Music on the Plaza occurs nearly every Friday and Saturday during the summertime on Belmar Plaza in Lakewood Colorado. Come and enjoy fine music by musicians across many genres – grab a quick bite or enjoy fine bistro dining in the wonderful Colorado summer evenings. The kids will love dancing and engaging in this wonderful family opportunity.